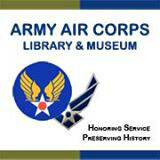 The Army Air Corps Library and Museum project is the transcription and creation of extracts from official U.S. military documents. This page quantifies the number of military servicemen personnel that enlisted in World War II in Pointe Coupee County Louisiana.. The results are grouped by County sorted by city and the name of each serviceman. County grouping is a method of consolidating research and collating data that is typical of history recordings and genealogical research. We have published this data on a variety of websites organized by the overseas combat unit where the serviceman served.